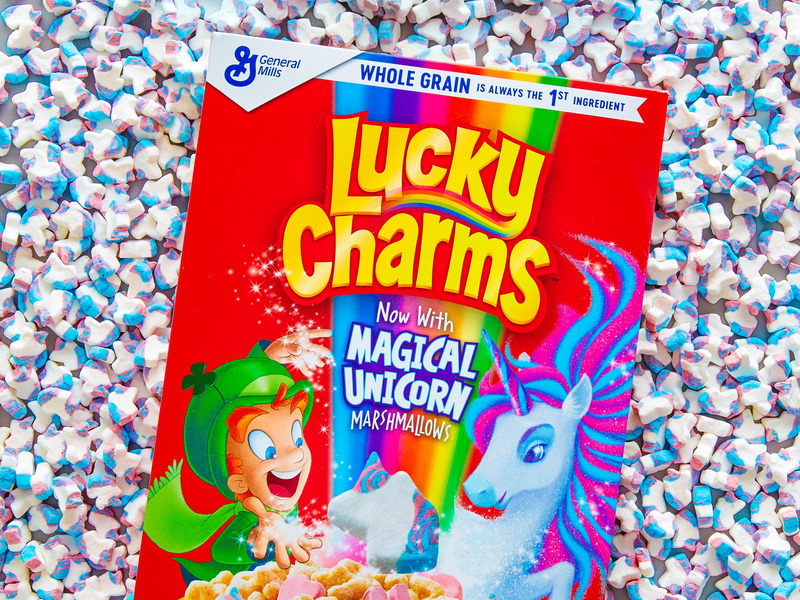 Lucky Charms is adding a unicorn-shaped marshmallow to the cereal. The “magical unicorn” will replace the hourglass marshmallow. People are freaking out over the addition of the unicorn to the cereal. On Monday, the General Mills brand announced that it was adding a unicorn-shaped marshmallow to the cereal. According to the company, this is the first time in 10 years that Lucky Charms has added a new permanent marshmallow. The new marshmallow reveal follows news that Lucky Charms is pulling the hourglass marshmallow from the mix. Customers seemed happy to replace the hourglass with the unicorn. Social media exploded with celebration over the new marshmallow. Forget having a bad day. They have made a unicorn lucky charms marshmellow!!!! Everything is going to be fine. ???????? “Is this for real? Please tell me this is a real thing, not a joke,” one Facebook commenter wrote on Lucky Charms’ post. LUCKY CHARMS NOW HAS UNICORN MARSHMALLOWS!!!! I. MUST. HAVE. THEM. 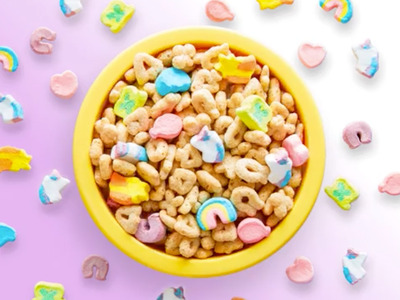 According to Lucky Charms’ Facebook, the unicorn marshmallow will begin showing up in cereal boxes across the US in March. Unicorns have been a particularly trendy symbol in the culinary space over the last year. In 2017, Starbucks’ colour-changing Unicorn Frappuccino quickly went viral, bringing the sparkly and colourful style to the mainstream.